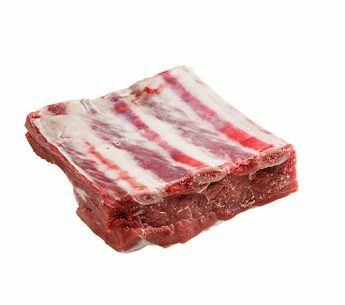 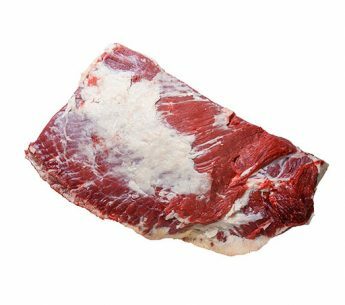 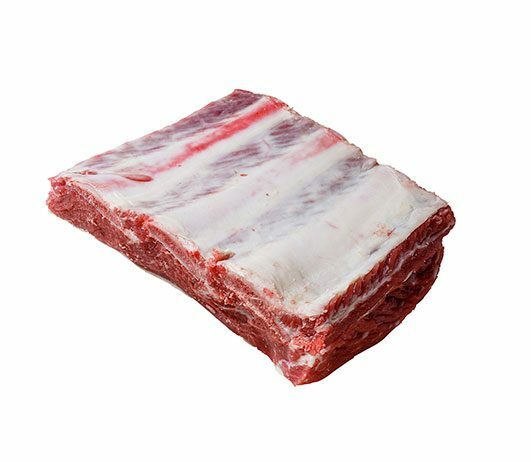 Short Ribs are prepared from a Forequarter after the removal of the Brisket / Ribs Prepared / Chuck Square Cut. 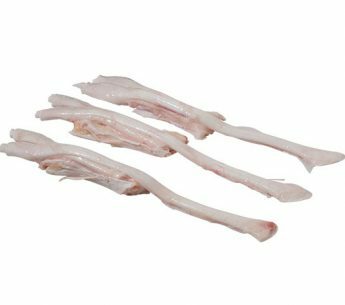 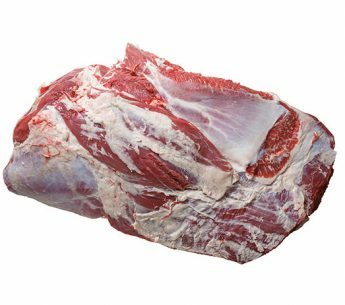 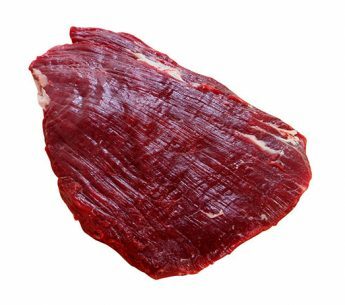 The cutting line is approximately 75mm from the eye of meat (M. longissimus dorsi) and parallel to the vertebral column. 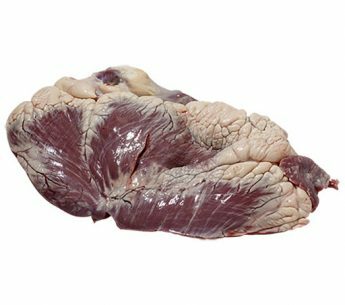 The M. cutaneous trunci is removed.